A short description of the functionality. 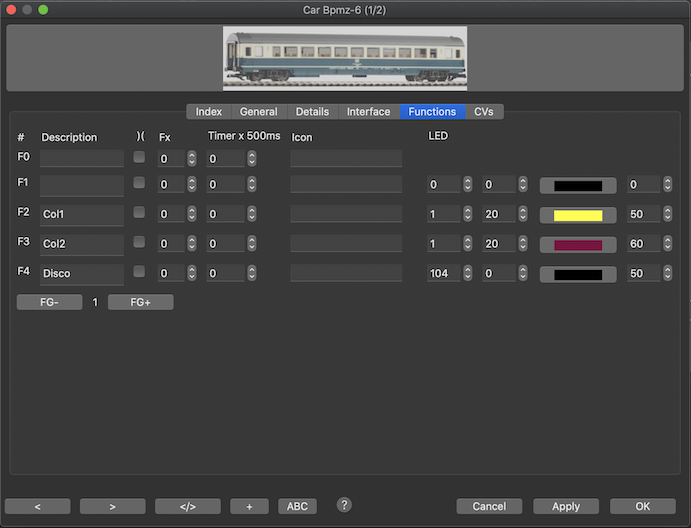 This can be used in case a train function is mapped on another number for this car. Function Fx will be set/reset instead of the original function number. This will be saved only if the function description is set.